Let us try an exciting new format! 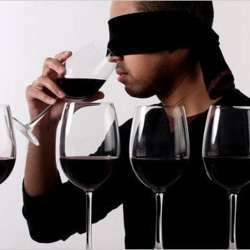 This evening we will have a blind tasting of 6 different red wines from the Americas (north and south) and grape varieties. An evaluation sheet will be distributed with informations about the different wines and we can rate them and make a guess which one we are drinking. Nibbles, cheese and bread will also be offered. A small contribution will be asked for by the participants. The event will take place at Matthew's appartment. It is very well located and the address will be announced to participants in time. Kindly only sign up if you are sure you can make it, as the number of attendants is limited. Those who do sign up please reconfirm before February 14th. Looking forward to seeing you on February 16th for this event!